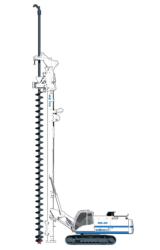 The Soilmec SF range of dedicated CFA Rigs (Continuous Flight Auger) are self-erecting, high performing and hydraulically powered drilling rigs mounted on a crawler unit. 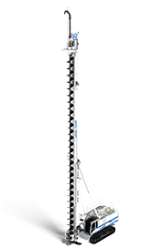 The multi-purpose SR range can also be configured to perform CFA technology. 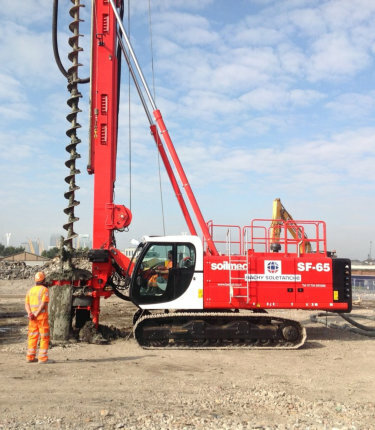 CFA technology joins the advantages and versatility of the drilled pile applications. 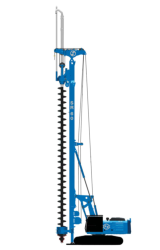 Continuous Flight Auger piles are performed with a partial soil removal and a lateral soil compression that increases the final load bearing capacity. 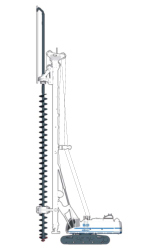 The construction procedure consists of boring the soil by means of a continuous flight auger assembled on a central hollow pipe. 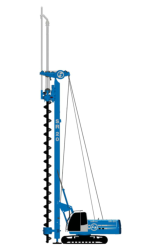 On completion of boring operation, the auger is extracted while concrete is poured through the internal hollow pipe. 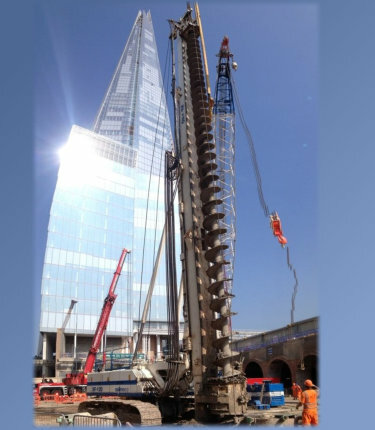 When required, piles may be reinforced for their entire length with reinforcement cages inserted in the wet concrete. 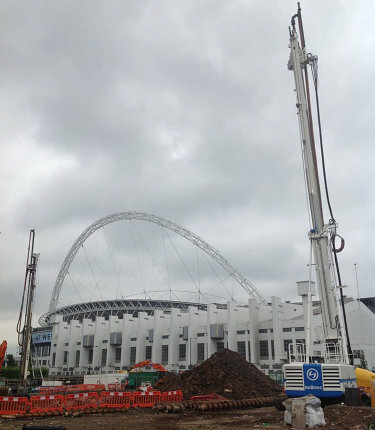 Technical details & download brochures for each rig can be found below for the extensive CFA Piling Rig range. 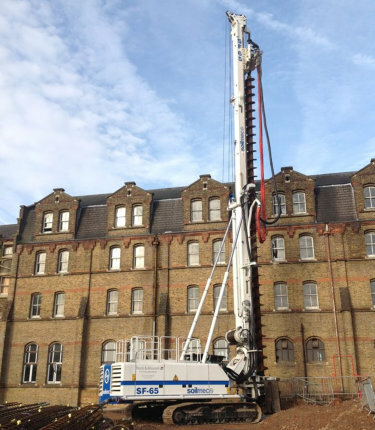 The method can be utilised in a wide range of cohesive and cohesion less soils, with or without the presence of a water-bearing stratum and without bentonite fluid as a wall support. 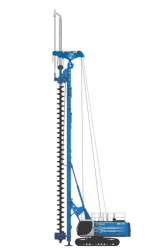 The technology does not produce shocks, vibrations and noise, allowing work in urban areas. 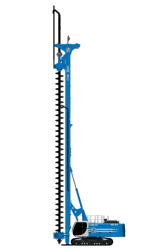 The minimum required equipment minimises the installation of plant on the job site and enables operation in restricted areas. 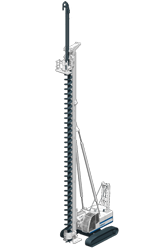 High production rates can be easily reached. 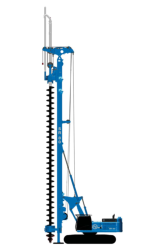 Pile diameter: 300 to 1400 mm. 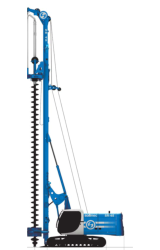 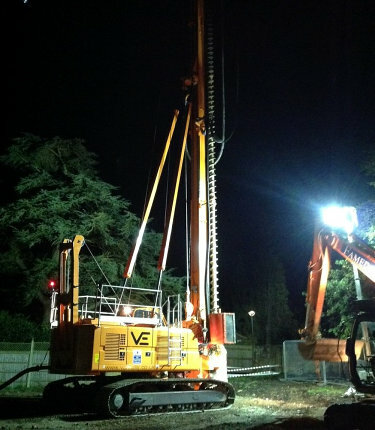 Pile depth: 15 to 33m depending on soil diameter and consistency.